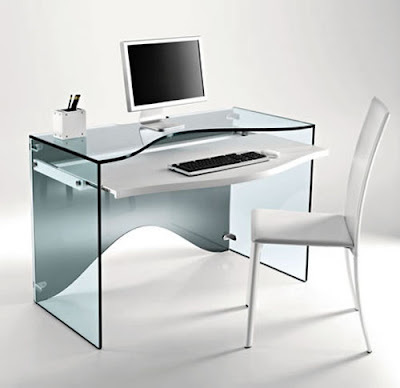 Rashid introduce to us the new model modern transparent home office furniture namely Strata. These furniture made by transparent glass, the back in smoked glass,fit for homeoffice thanks to the pull-out shelf in white lacquered wood. In the mirrored version the desk becomes an elegant dressing table, with pull out shelf in white lacquered wood. These elegant transparent furniture measures are : size: 120 x 62 x h 140, thickness: 15 mm, weight: 140 kg.